Here on MusicRadar, in the build up to Black Friday and Cyber Monday, and throughout the Holiday season, we'll be bringing you the best deals on musical instruments of all kinds for US-based musicians, drummers, guitarists and producers. Click here for all the best Black Friday/Cyber Monday deals in the US. A Moog synth is something that many of us would love to have in our studio, and the Subsequent 37 demonstrates why. This paraphonic analog instrument is currently available for $1,249, so now's the time to turn your Moog fantasy into reality. 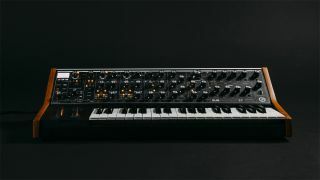 An expanded version of the Sub 37, the Subsequent 37's control panel houses 40 knobs and 74 switches, giving you loads of sound design options and sequencer control. There are new features under the hood, too, as well as an upgraded keybed. It all adds up to a great synth, and one that you can currently buy at a great price.